My son's dog Chief is visiting. 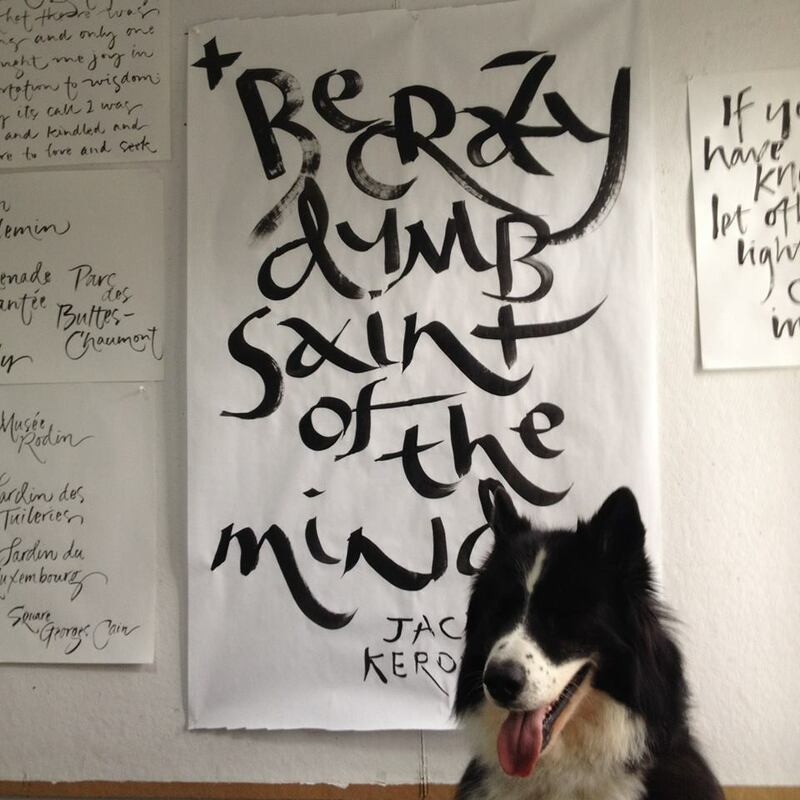 Here he is in front of a Jack Kerouac quote that I wrote with my left hand after a facebook exchange about left-handed calligraphy. It is easier to do working large as you are holding the brush away from the surface—no concerns about smearing the ink. I taught myself to work with my left hand when I was teaching calligraphy many years ago at Rivier College. A class at the Innovations Calligraphy Conference in Hoboken with Marsha Brady in 1986 convinced me that every teacher should. Here's a post from 2010 with reflections about my experiences with calligraphy conferences.